The Member for North Fly District, James Donald says the issue of foreign exchange is preventing service delivery in his electorate. Mr Donald brought the issue to the attention of the prime minister, after his people continued to wait for two sets of rice mill and packing machines he's promised them since. Mr Donald says his people will call him a con man soon because farmers have harvested their rice and there is still no mill. He says Western Province is now beginning to grow rice. Mr Donald explained that they had placed orders for the rice mills since the end of October last year and it is sad to see that the transaction is still sitting in queue for almost 8 weeks. He called on the Prime Minister to admit that the government is not capable in fixing this issue. He says everyone is feeling the reality of the struggles which he could not deny. Mr Donald also called on the Minister for Treasury to act quickly in terms of the release of funds to carry out work in his district. 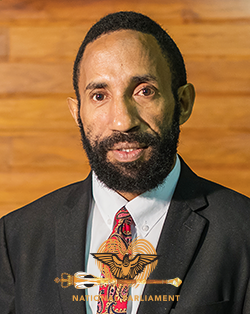 Mr Donald says its the duty of the Treasurer and the Prime Minister to talk to the Bank of PNG to ensure things are done, adding that funds have been deposited into the suppliers account but it has not been processed due to the FOREX issue.